NASHVILLE – Forty-one electric cooperative lineworkers from Tennessee are heading to South Carolina to help restore power to those affected by a powerful winter storm. Some crews are already en route and others will depart early Thursday morning. More than 50 additional lineworkers are on standby to leave Thursday afternoon should the need arise. Electric cooperatives across the Southeast began planning earlier this week, and details have been adjusted as the exact path of the storm and the extent of the damage became more certain. Electric cooperatives utilize a common safety and construction standards that allow crews to safely and efficiently assist other systems. Crews will be assisting Santee Electric Cooperative in Kingstree, S.C., approximately 30 miles west of Myrtle Beach. The Tennessee Electric Cooperative Association is a trade group representing the interests of 23 electric distribution cooperatives and the 1.1 million members they serve across rural and suburban Tennessee. Crews from across the state will be departing Thursday morning. Please contact Trent Scott with the Tennessee Electric Cooperative Association if your media outlet would like to schedule an interview or video or photo opportunity. 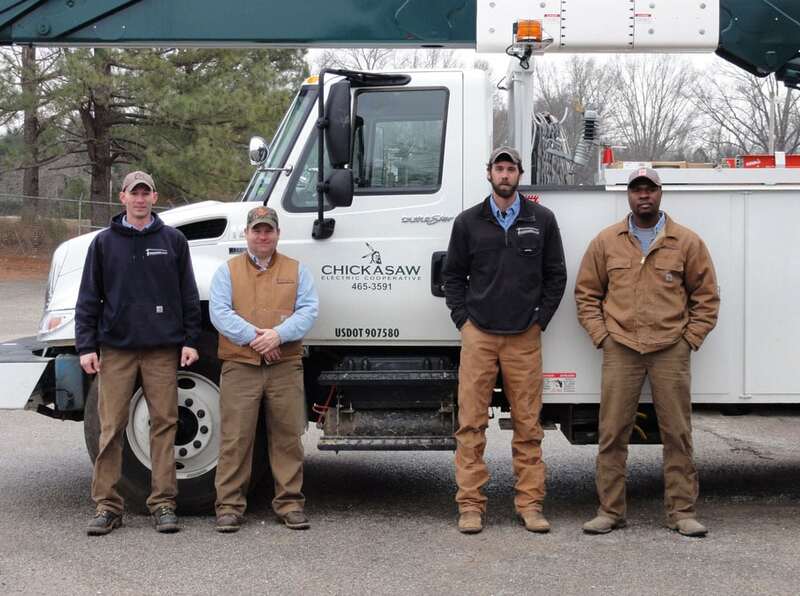 Cutline: Lineworkers from Chickasaw Electric Cooperative, Somerville, Tenn., will leave for Kingstree, S.C., on Thursday morning to assist with electric power restoration following an historic winter storm. From left: Chris Huff, Chris Whittemore, Brett Bartholomew, and Hebert Green.